While James White established White Fort (which would later become Knoxville), his friend John Adair established Fort Adair in 1788 just north in Grassy Valley. The land had been given to Adair by the governor of North Carolina for his services in the Revolutionary War, and the town that grew there became Fountain City. Originally known for large Methodist camp meetings as well as state and local political rallies, the community saw the development of a hotel, college, library, and a post office. 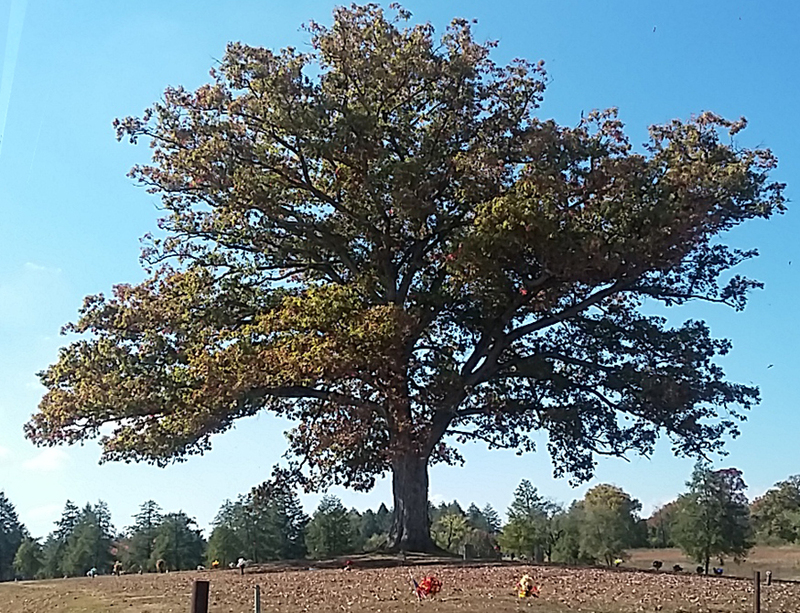 The old white oak is near the original site of the fort and forms the burial site for John Adair.